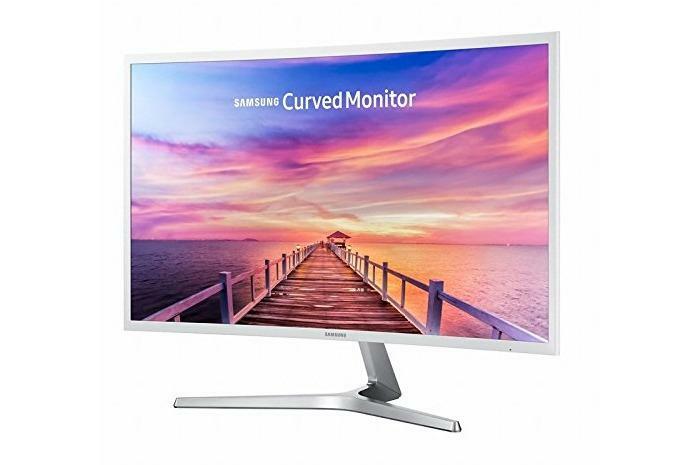 For $190, you can get this Samsung 32-inch curved monitor from Woot via Amazon. A gigantic, curved display can make your PC experience feel wonderfully immersive, regardless of whether you’re gaming or slinging spreadsheets around. Impressive monitors like that don’t come cheap, though—at least usually. Amazon’s featured deal today is a refurbished curved monitor from retailer Woot. A refurbished 32-inch Samsung C32F397FWN is only $190. This monitor normally sells for $270 brand new. The deal ends just before midnight on Wednesday, Pacific time. It's a great price for the monitor, but you're taking something of a risk with this deal as it's certified refurbished, which means someone returned it because it didn’t work quite well enough. Samsung then fixed it in order to re-sell it. Amazon requires that these devices work as brand new after being refurbished, but they only come with a 90-day manufacturer warranty. If that risk sounds acceptable, you’ll get a 1080p, 60Hz monitor with an 1800R curvature across that massive 32-inch panel, which is only 0.5-inch thin. The port selection's a bit limited though, with a just a single HDMI and DisplayPort each. Samsung's monitor lacks extra gaming features like FreeSync or G-Sync support, but that display should still offer a very immersive gaming experience thanks to the curved panel. The monitor also tilts if you need to adjust the viewing angle for your particular set-up.